The Canterbury region is one of contrasting natural beauty and vibrant city life. Two national parks, the Canterbury plains, sparkling turquoise lakes, idyllic beaches, attractive coastal villages, fascinating marine life, and the 'Garden City' of Christchurch , all await your discovery. Covering over 45,000km2, Canterbury is the largest region in New Zealand with approximately 612,000 residents, giving it the second biggest population (after Auckland) in the country. Christchurch is the region’s focal point, boasting beautiful open green spaces with the Avon River meandering through its heart. 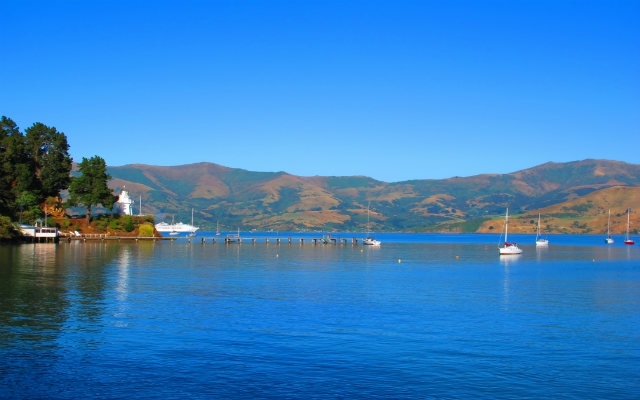 Head southeast to Banks Peninsula and you’ll reach the picturesque French-influenced harbour settlement of Akaroa. Travelling south brings you to the seaside town of Timaru, whilst a trip inland leads to Geraldine and its craft shops and cafes. A few hours’ drive southwest is Aoraki Mount Cook National Park, home to 19 of New Zealand highest mountain peaks and the world’s largest international dark sky reserve. To the west, lies the majestic beauty of Arthur's Pass National Park which is a popular spot for hikers. To the north, coastal Kaikoura’s whale watching and seal colony is a drawcard, while Hanmer Springs is renowned for its spa and hot pools. The largest city of the South Island, Christchurch is also New Zealand's oldest, having been granted its Royal Charter in 1856. Known as the ‘Garden City’ for its high proportion of green areas, Christchurch has the feel of an old English city, thanks to the ambitions of settlers who wanted to recreate the similarly-named area of Christ Church, Oxford in England. On 22nd February 2011, an earthquake measuring 6.3 on the Richter Scale, struck central Christchurch, killing an estimated 200 people and injuring thousands more. Despite the earthquakes, Christchurch remains a resilient city of expansive parks, botanical gardens and gorgeous beaches. Highlights include punting along the River Avon, visiting the Christchurch Botanic Gardens, taking a stroll around Hagley Park, sampling the bars, cafes and shopping in the central city, and visiting the beaches of Sumner and New Brighton. Between September 2010 and early 2012, Christchurch was hit by a series of earthquakes, the worst of which killed 185 people and damaged thousands of buildings, including its namesake cathedral. Since then, more than 1,500 buildings have been demolished, a major scale redevelopment of the central city has been undertaken, and a dynamic and exciting new city is rising in its place. A 90 minute drive southeast brings you to the Banks Peninsula and the jewel in its crown, Akaroa. This French-influenced town is full of charm with its appealing harbour setting and quaint streets, French colonial buildings and numerous cafes. There are also plenty of opportunities to leave the harbour and explore the region by boat. 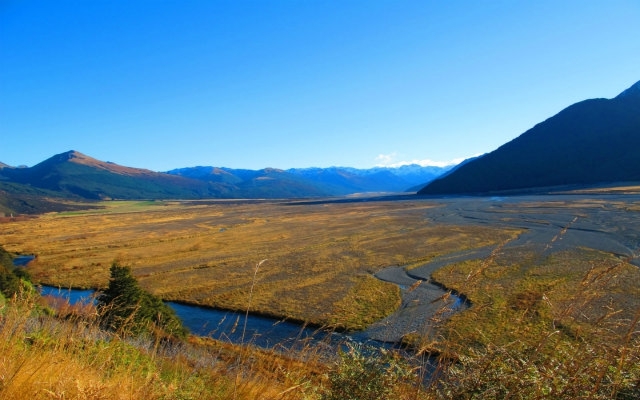 Established in 1929, Arthur's Pass National Park is situated between Canterbury and the West Coast. Dominated by the spectacular Southern Alps, the park is a haven for trampers and mountain climbers. The village of Arthur's Pass itself, provides a handy base for those who want to take their time exploring this wild landscape. 180km north of Christchurch, Kaikoura is a delightful coastal town famous for its whaling history and abundant marine life. With mountains that very nearly reach to the ocean, the town is a popular place to catch some sea air, with a number of boating excursions available. 65kms southwest from Kaikoura, the town of Hanmer Springs is, as its name suggests, built around a natural hot spring that now includes an extended hot pools complex. The area has a number of mountain biking, walking and riding trails and there are plenty of activities to keep the whole family amused. A great place to unwind! New Zealand's highest mountain, Aoraki/Mount Cook sits in the national park of the same name and is part of the Te Wahipounamu world heritage area. All but one of New Zealand's 3000m high peaks lie in the park, making it an obvious attraction for mountaineers and experienced hikers. 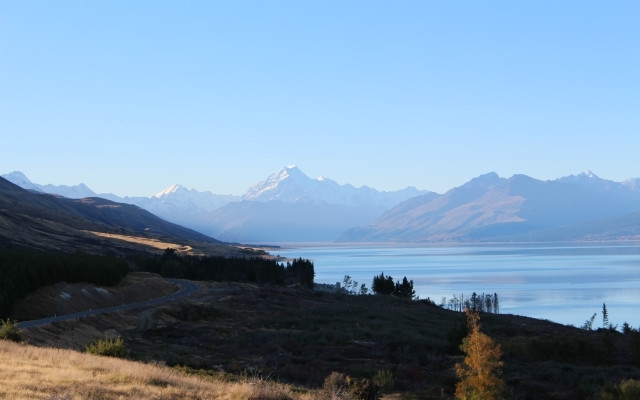 As you approach the park you’ll discover the dramatic alpine landscape and picture postcard views of Lake Pukaki. Less and 30 minutes’ drive away are the turquoise waters of Lake Tekapo, a world renowned stargazing spot. Check our 'Things To Do' section to see details of the activities on offer in Christchurch and the Canterbury region.